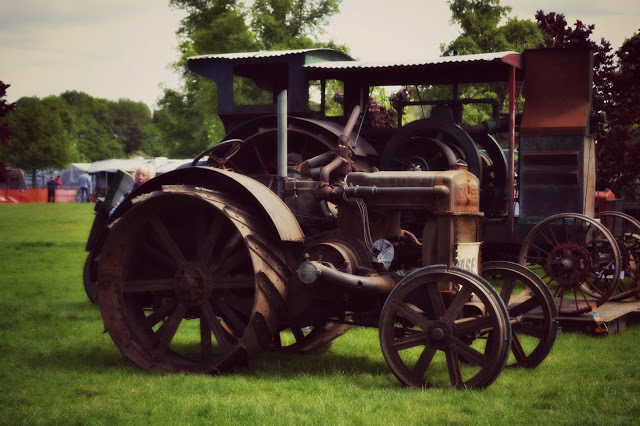 Set in the beautiful grounds of Newby Hall in Ripon, North Yorkshire, Tractor Fest is a huge gathering of tractor enthusiasts, a wide array of engines and various stalls selling tractor related goodies. 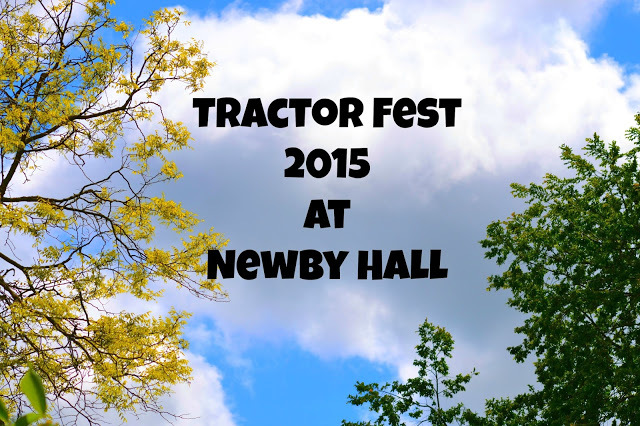 When we heard about Tractor Fest at Newby Hall I knew we had to visit. The little man is completely obsessed with tackata’s (tractors to you and me). In fact, anything he sees that has wheels is a tractor in his mind. Tickets cost £10 for hubby and I and the little man was free as he was under 4. 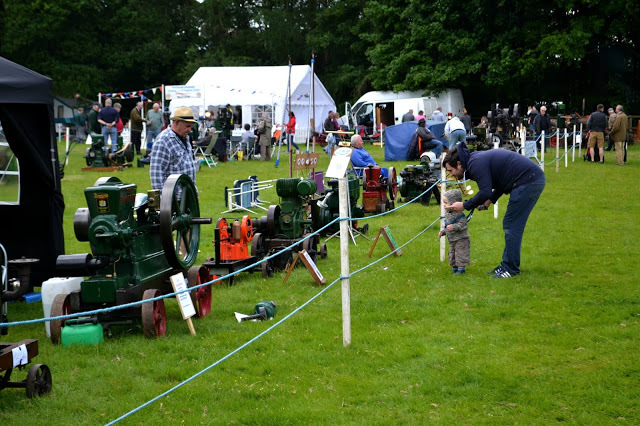 As well as various tractors there were also engine exhibitions. They were extremely noisy and not really my thing but the little man and Hubby were very impressed. 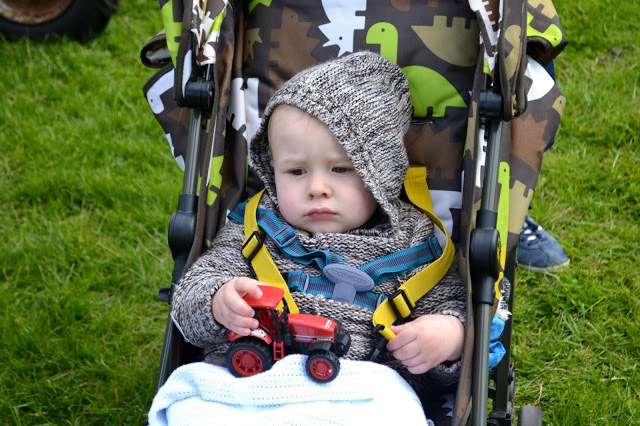 The little man, despite this ridiculously miserable face loved Tractor Fest, he ran round gawping and shouting at all the tractors and completely wore himself out. 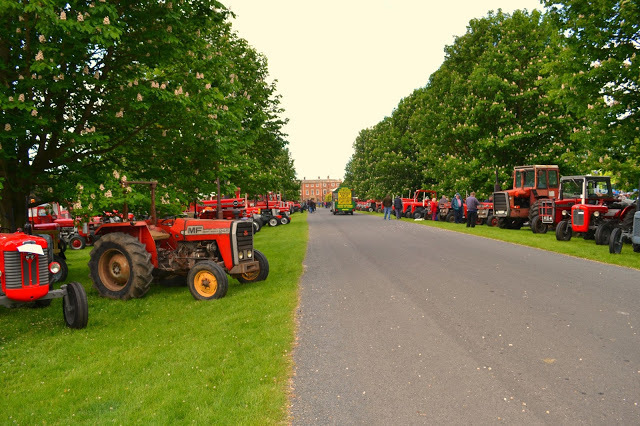 There was literally every kind of tractor you could imagine, big ones, small ones, enormous ones, silver ones, black ones, literally every kind you can think of. I hadn’t realised tractors came in so many different shapes and sizes. 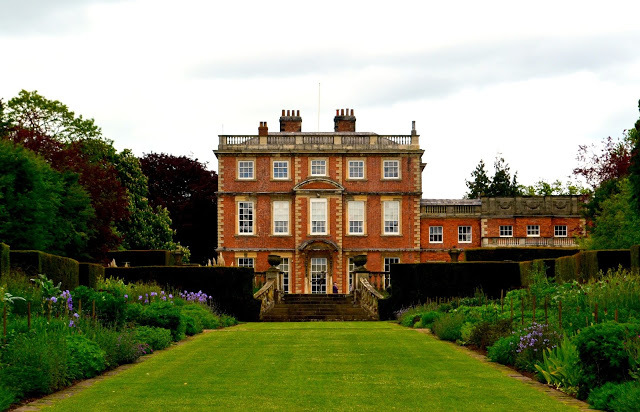 The £10 also included entry into the grounds of Newby Hall but not the hall itself. As it was warm and sunny we were happy enough with just the gardens and weren’t fussed that we couldn’t go inside. The gardens are really beautiful and despite the fact it was a busy day we were able to wander round without constantly bumping into people. 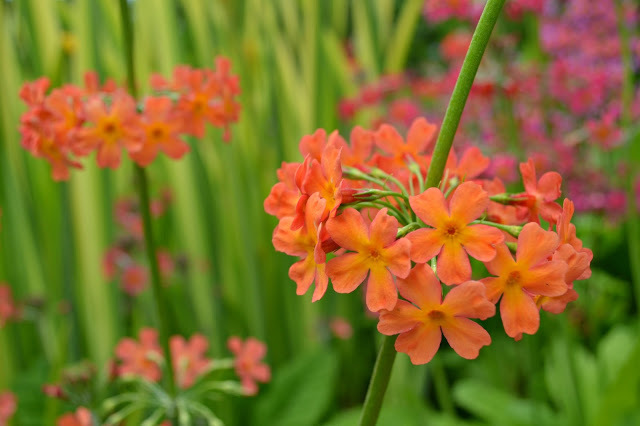 We were able to roam round the lush green gardens, looking at the pretty flowers and listening to the birds sing, it was a lovely peaceful day. 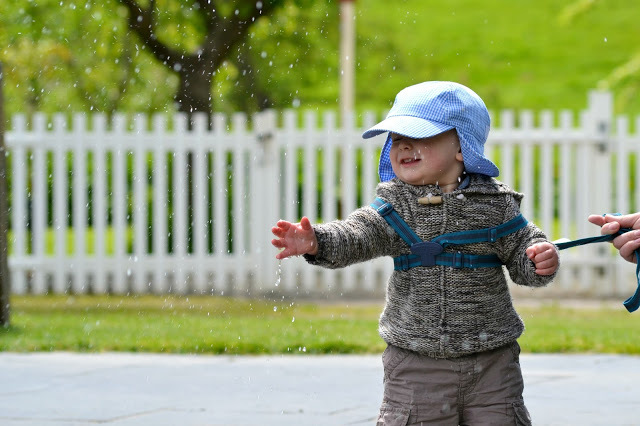 There’s a nice little play area for children with sand and a nearby water feature which you can run through and play in. 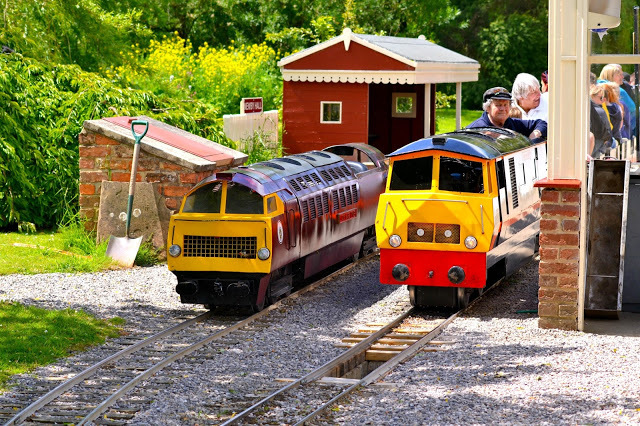 Next to that is the miniature railway, it costs £2 for everyone aged over 2 and is a surprisingly long journey. 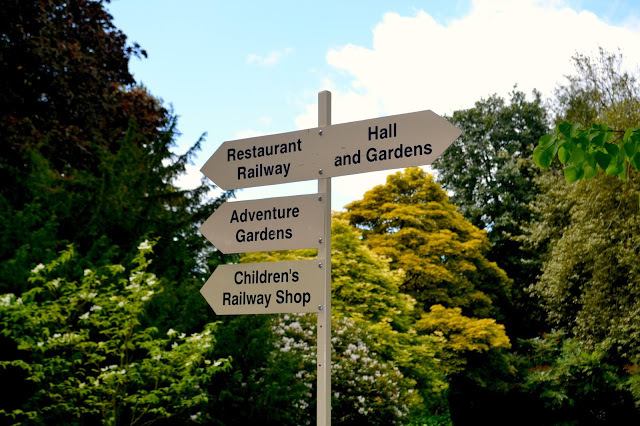 We loved the winding journey through the grounds and little man loved laughing at the tooting horn. 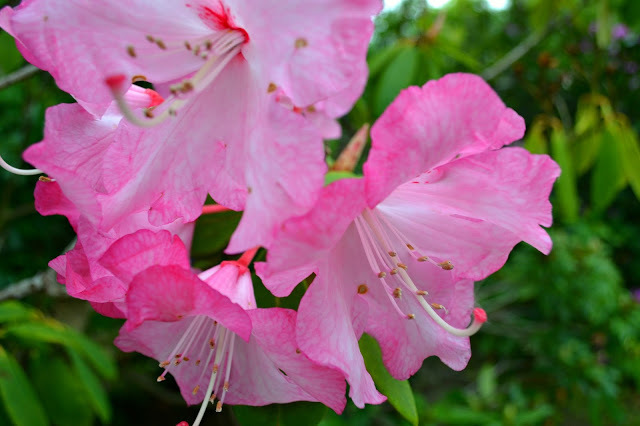 The flowers were absolutely stunning during out visit. I could have wandered round looking at them all day. 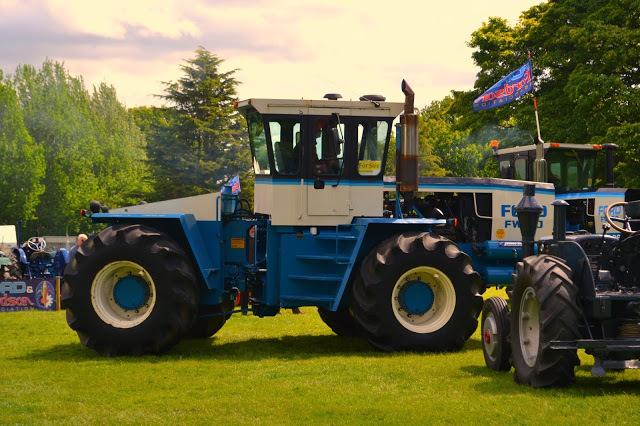 We really enjoyed our day at Tractor Fest and Newby Hall. 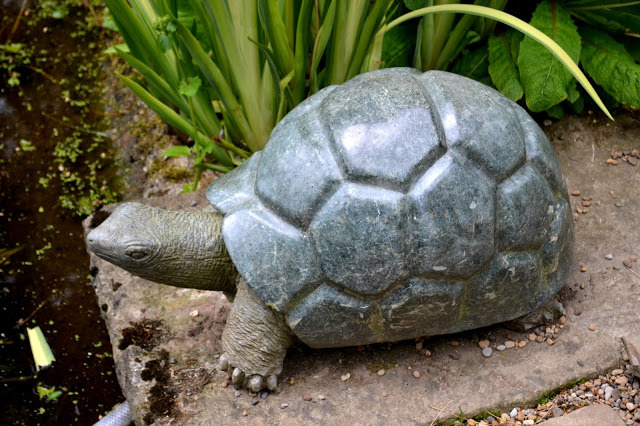 The weather was great, there was plenty to do and the grounds were beautiful. We’ve already made plans to return later this month. I would recommend taking your own food though, the food in the restaurant at Newby Hall although nice was pretty expensive and it would easily end up being an expensive day out if you have a large family. 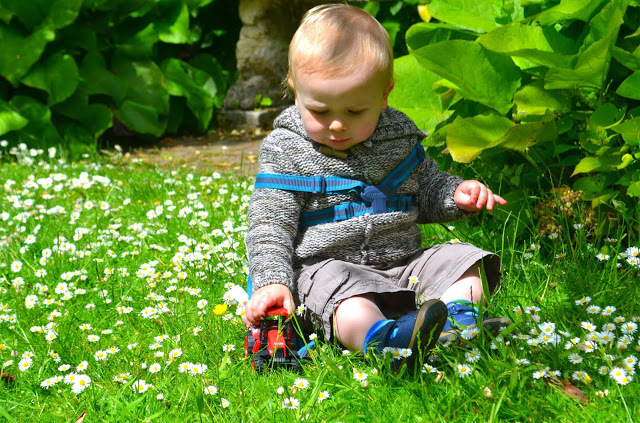 Gorgeous photos – my children would have loved this too – esp my vehicle-mad four year old. Oh my gosh! Your pictures are amazing! Especially the ones with movement! May I ask what camera do you use? As the other commenters have already said, your photos are totally stunning & your little angel is adorable too! My neighbour has a big ol' red vintage tractor & attends lots of rallys down here in Cornwall, it must be a lovely pastime both exhibiting and going along to these rural Country gatherings. 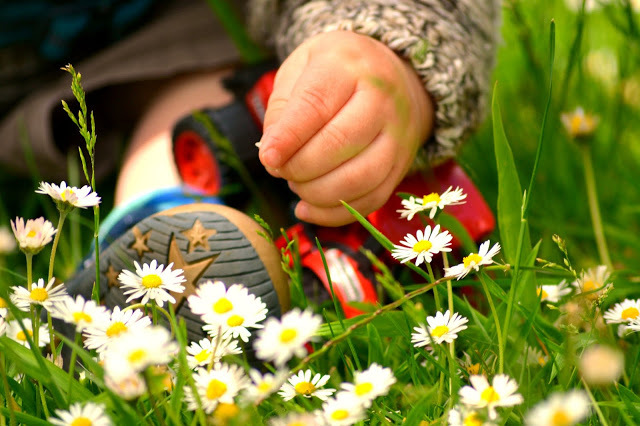 Such lovely photos looks like such a lovely day and the sort of thing for when my little boy is older. Beautiful pictures! Such a gorgeous setting. 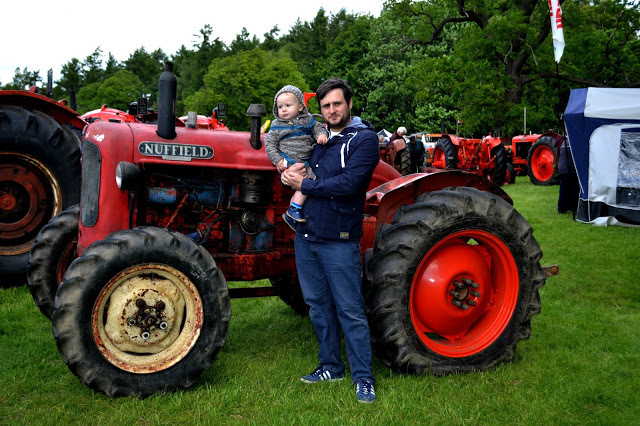 I think my boy would have absolutely loved it too, he's obsessed with tractors. And lorries. And buses…. This reminds me so much of a little festival we have in my town, ive been going since I was 8 and they have a vintage car and tractor show 🙂 it looks so cute! Where is Newby Hall it looks like the perfect location to shoot and you must have had a lot of fun at the tractor fest! What wonderful pictures and sounds like an awesome family day out. Great post. What an experience, I'm so glad that you guys had so much fun. it sounds like you had a really great day. I love your pictures of your son, they are super cute.